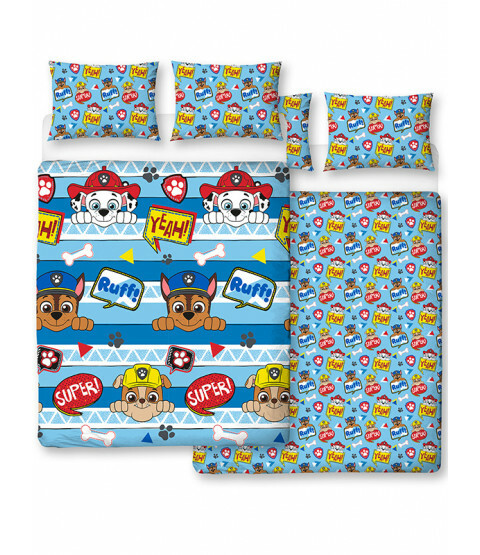 This Paw Patrol Peek design double duvet cover set is reversible meaning you receive two designs for one great low price! 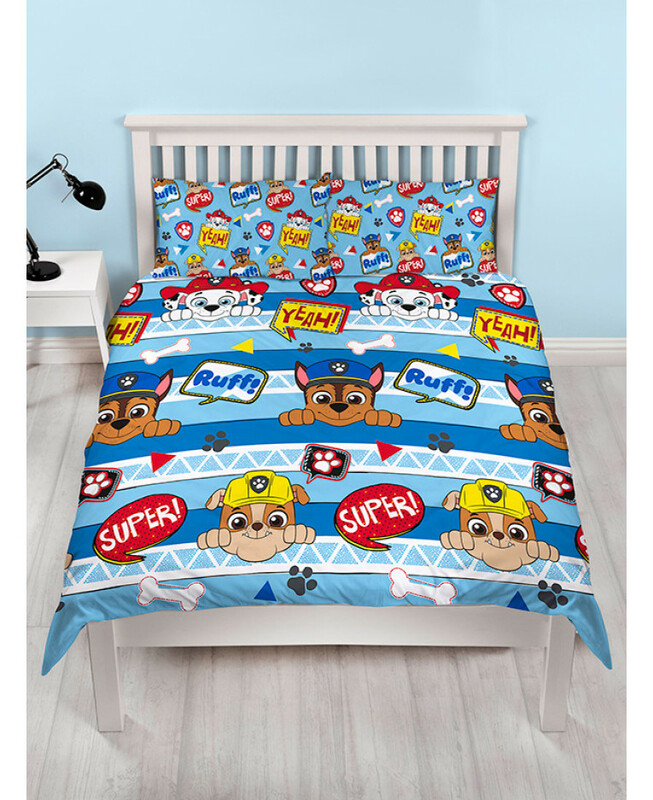 The first has images of Chase, Marshall and Rubble peeking over blue patterned stripes sounded by paw and bone motifs and speech bubbles. 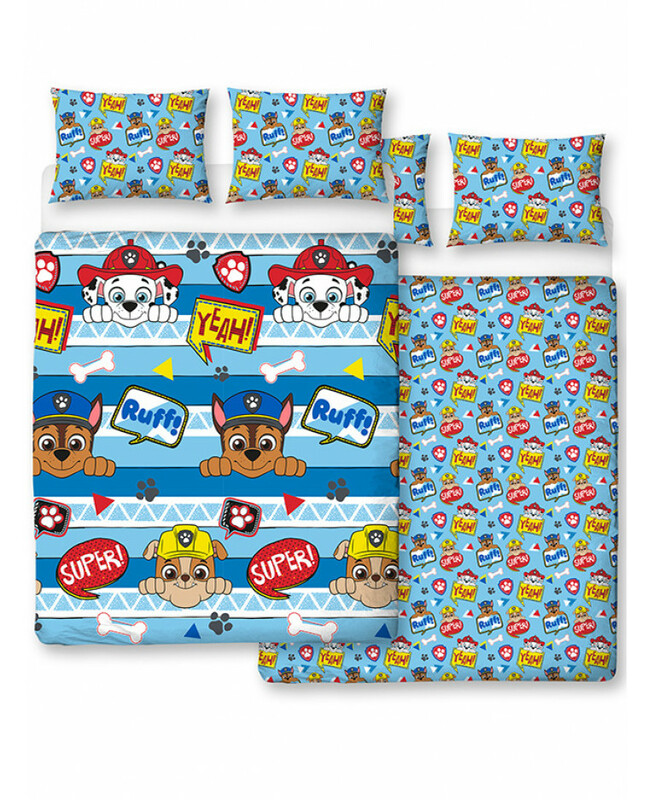 The reverse shows the pups and more speech bubbles a small repeated pattern also on a blue background. 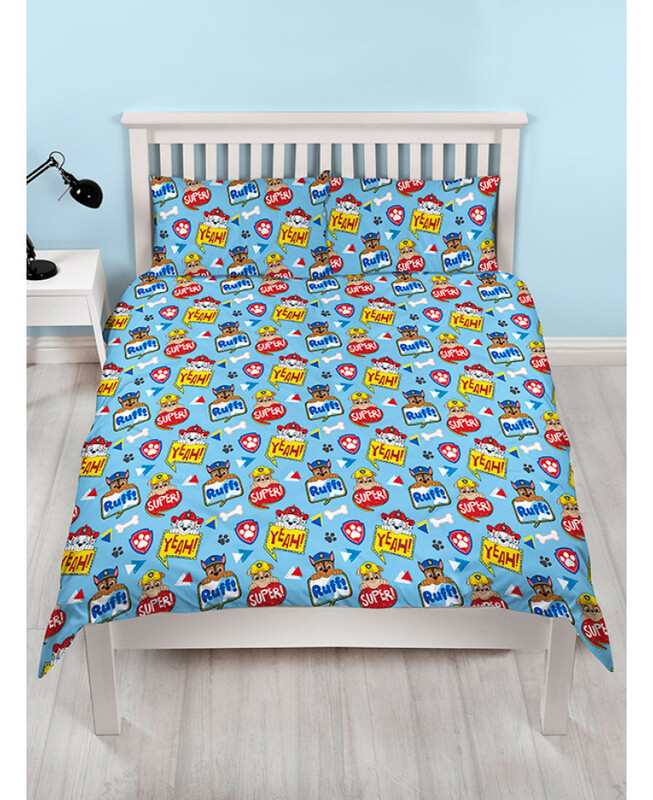 This bedding set is made from Easy Iron material and can be machine washed and tumble dried on a cool setting.